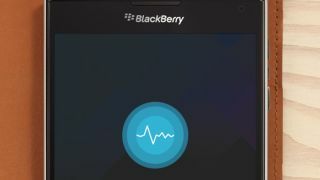 A leak concerning the next BlackBerry 10 update, BB10.3, suggested way back in March that the Canadian company might be working on its own Siri rival. Now BlackBerry has revealed that that rumor is true, and the blandly named BlackBerry Assistant will indeed arrive in the BB10.3 update. Social Media Marketing lead and Editor Donny Halliwell says in an Inside BlackBerry post that he's been using BlackBerry Assistant for weeks on the square-shaped BlackBerry Passport, and he reports "you'll be pleasantly surprised at how accurate" it is. If that's not a dig at Siri, Cortana and Google Now, then nothing is. Halliwell uses a number of anecdotes to illuminate some of BlackBerry Assistant's features. Apparently you can either use voice commands or simply type on the home screen to make requests of the app, from searching through your email and managing your calendar and events to searching the web for lyrics and checking Twitter. "The more I use it, the more it learns and adapts to me," Halliwell writes. "The more I speak with it, the more tuned-in to my queries it gets." BlackBerry Assistant is compatible with any Bluetooth device and will remind you of events and appointments and even send BBM messages for you. All of this can reportedly be done hands-free, if desired. Interestingly BBA also completes "most" requests, whether you're replying to emails, setting reminders, or just turning on the phone's flashlight, without leaving the Assistant app. Unfortunately the one thing Halliwell neglected to go into detail about is when BlackBerry 10.3 might arrive.